Today, Schiphol Group’s most pressing concern is that it has reached its limit on air transport movements. Its airports handled 496,748 movements last year but cannot exceed 500,000 up to and including 2020. This in turn has an effect on passenger growth, a key retail driver. The group is addressing the challenge, though it will take time. As we reported last year, under Schiphol Group’s Capital Programme the airport will be expanded considerably in the years ahead to include a new pier in 2019 and new terminal in 2023. The new terminal will adjoin Departure and Arrival Halls 1 and allow 14 million more passengers to travel through Schiphol annually. Crucially, it will form an extension of the existing building, allowing Schiphol to retain the one terminal concept, with all facilities under one roof. 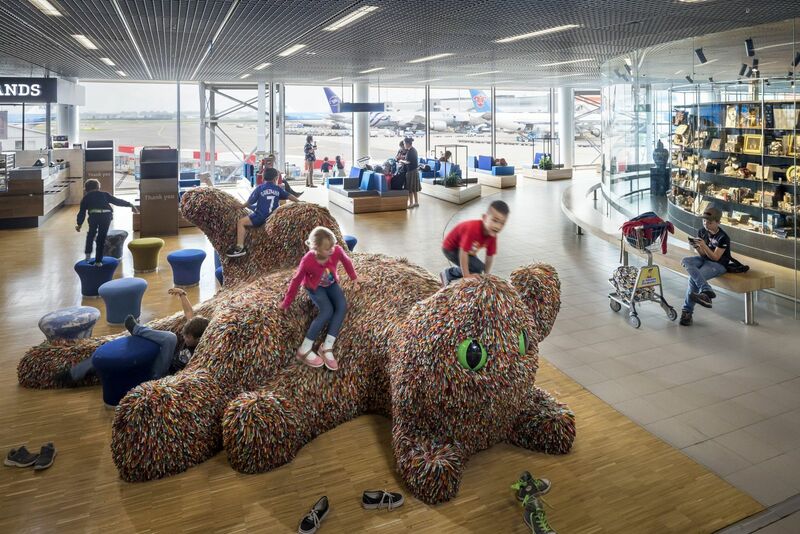 Schiphol has also been busy renovating and upgrading existing space. Among the big projects of the past year was the opening of the renovated Holland Boulevard, with a strong emphasis on art, culture, relaxation and shopping. 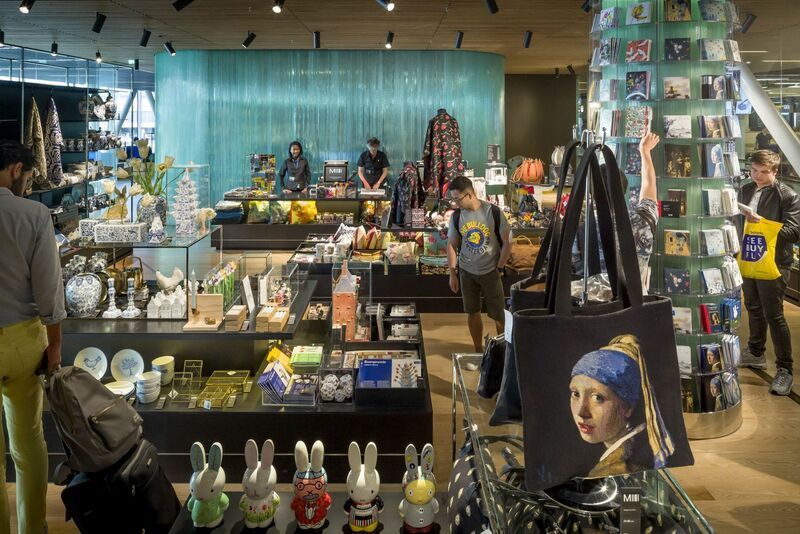 The public area between Departure Lounges 2 and 3 features four retail units – including Rituals and Swatch – and three food & beverage outlets alongside a collection of Dutch art and culture. 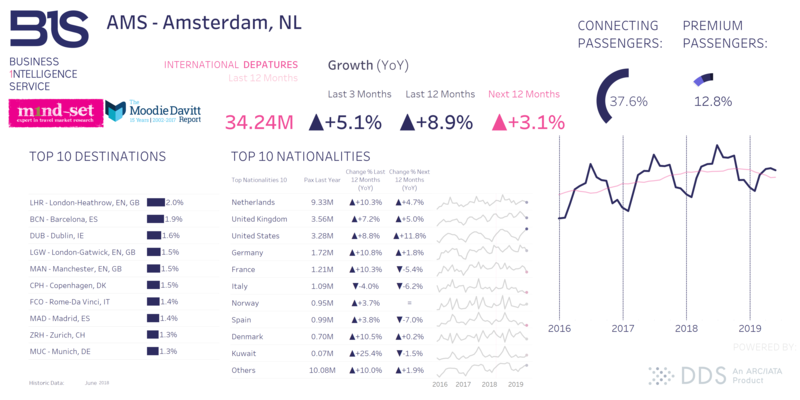 As with its peers, Schiphol is also aiming to become a leading digital airport. Schiphol’s Digital Airport Programme aims to accelerate the implementation of solutions, offering passengers more control over the travel process and personalised information through digital channels such as its website and updated app, plus partnerships with FLIO and others on consumer services. By 2020, says the company, it aims to have fully upgraded its digital support for passengers, and opened retail ‘omnichannel’ services to complement its strong in-terminal offer. Note: The traffic figures here are published by exclusive agreement with m1ndset’s Business 1ntelligence Service (B1S). This unique air traffic forecasting tool was developed with IATA and ARC’s ‘Direct Data Service’ (DDS) database.